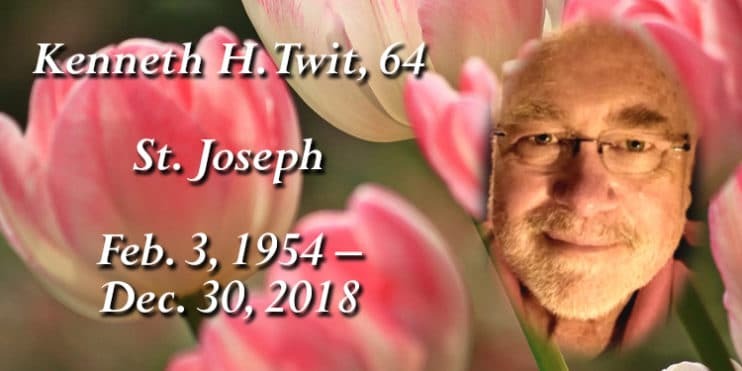 Kenneth H. “Ken” Twit, 64, of St. Joseph, died Dec. 30 at the St. Cloud Hospital with family at his side. 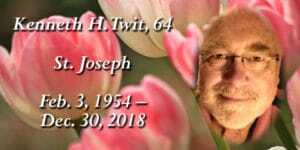 A memorial service was held Jan. 4, 2019 at Bethlehem Lutheran Church in St. Cloud. The Rev. Dee Pederson officiated.